Binz is also well known for special double cabs - based on the first Volkswagen Type II Transporters. There is a rumour about a florist that went to Binz and asked for a special pick up in 1952. 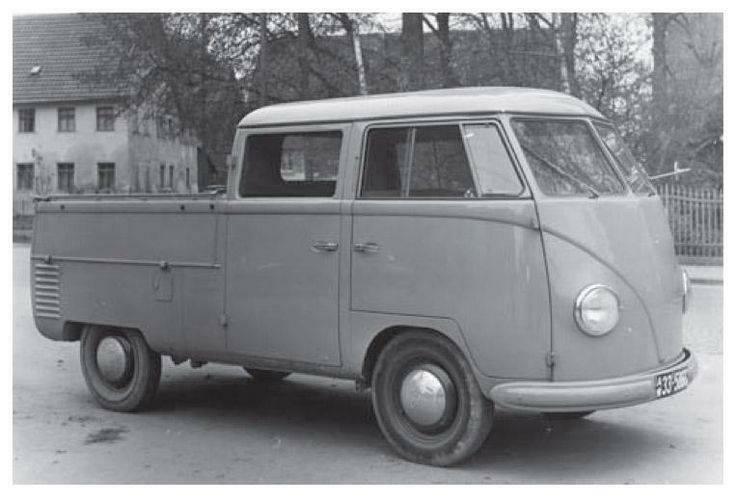 Somewhere i have been reading, that VW liked Binz' concept and Binz started building the first pick ups (single cabs) officially for VW in 1953. 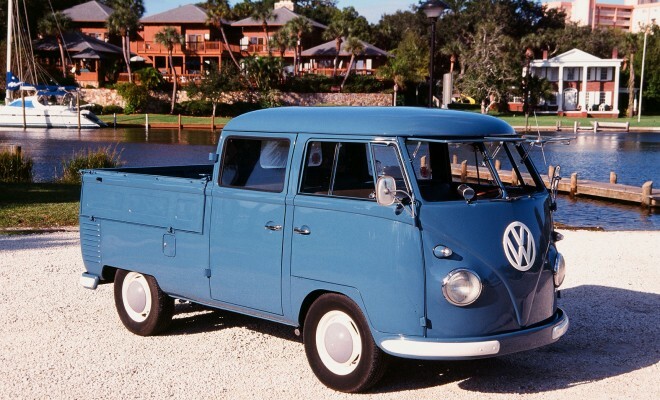 May be true, as the first Volkswagen pick up was produced in August 1953. 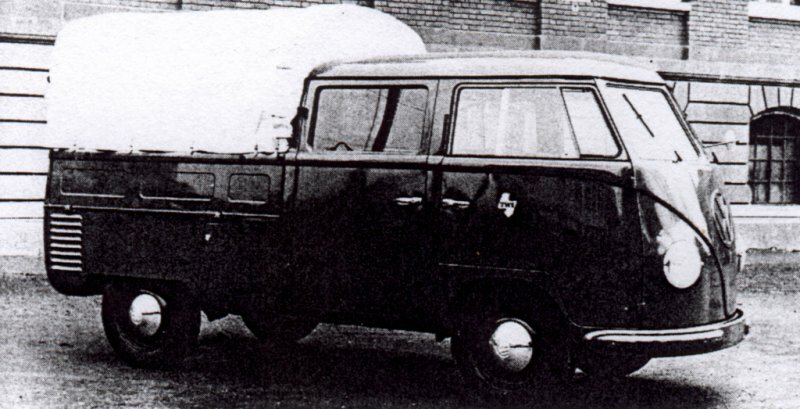 But the production of offical VW double cabs started later - in November 1958. So the following picture of an early "Barndoor" (1950 to 03/1955) VW pick up (double cab) is definetely a Binz. The most markable sign of a Binz pick up is the long window in the passenger area - the second row where the additional 3 people could sit. Official Volkswagen "Doppelkabinen" never had these longer windows.